Astronomers have caught the giant black hole at our galaxy’s centre stretching the light emitted by an orbiting star — nearly three decades after they first starting tracking the star. The long-sought phenomenon, known as gravitational redshift, was predicted by Einstein’s general theory of relativity, but until now it had never been detected in the environs of a black hole. A team led by Reinhard Genzel, of the Max Planck Institute for Extraterrestrial Physics in Garching, Germany, announced the discovery today at a press conference and reports the results in Astronomy & Astrophysics1. The group includes scientists from universities and research institutions in Germany, France, Portugal, Switzerland, the Netherlands, the United States and Ireland. Genzel and his colleagues have tracked the journey of this star, known as S2, since the early 1990s. Using telescopes at the European Southern Observatory in Chile, the scientists watch it as it travels in an elliptical orbit around the black hole, which lies 26,000 light years from Earth in the constellation Sagittarius. With a mass 4 million times that of the Sun, the black hole generates the strongest gravitational field in the Milky Way. That makes it an ideal place to hunt for relativistic effects. On 19 May this year, S2 passed as close as it ever does to the black hole. The researchers traced the star’s path using instruments including GRAVITY, an interferometer that combines light from four 8-meter telescopes and that became operational in 2016. 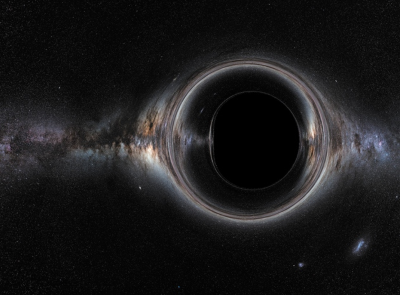 “With our measurements the door is wide open to black-hole physics,” says team member Frank Eisenhauer, an astronomer at the Max Planck institute. GRAVITY measured S2’s movement across the sky; at its fastest, the star whizzed along at more than 7,600 kilometres a second, or nearly 3% the speed of light. Meanwhile, a different instrument studied how fast S2 moved towards and away from Earth as it swung past the black hole. 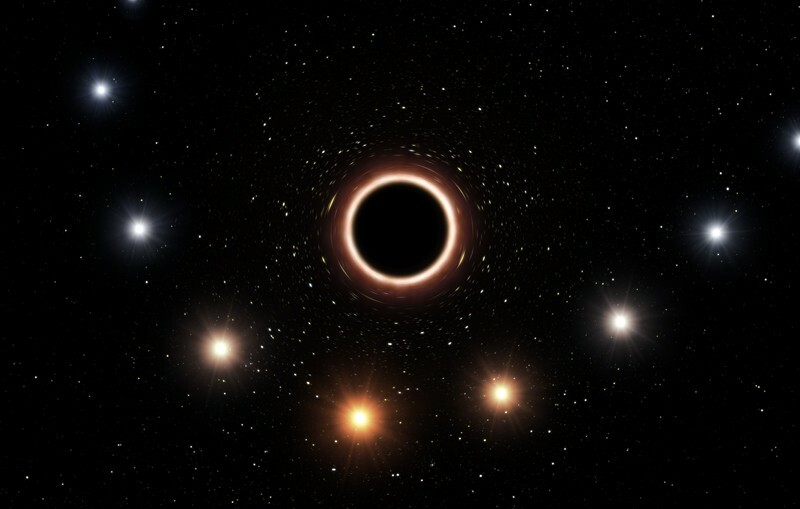 Combining the observations allowed Genzel’s team to detect the star’s gravitational redshift — which describes how its light is stretched to longer wavelengths by the black hole's immense gravitational pull. Such a phenomenon is consistent with the predictions of general relativity. “What we measured cannot be described by Newton any more,” says Odele Straub, an astrophysicist at the Paris Observatory. Future observations of S2 might confirm other Einstein predictions, such as how a spinning black hole drags space-time around with it. “Their data look beautiful,” says Andrea Ghez, an astronomer at the University of California, Los Angeles, who leads a competing team that uses the Keck telescopes in Hawaii to measure the star’s path around the galactic centre. It takes 16 years for S2 to make a complete orbit around the black hole, so both groups have been eagerly awaiting this year’s close passage. But Ghez says that her team plans to wait until later in the year to publish its results. Of three crucial events happening in 2018, only two have taken place so far. Update 26 July 2018: This story has been updated with quotes from Odele Straub and Frank Eisenhauer. Correction 26 July 2018: An earlier version of this story stated that the star S2 made its closest pass by the galactic centre’s black hole on 18 May. In fact, it was 19 May. Abuter, R. et al. Astron. Astrophys. https://doi.org/10.1051/0004-6361/201833718 (2018).